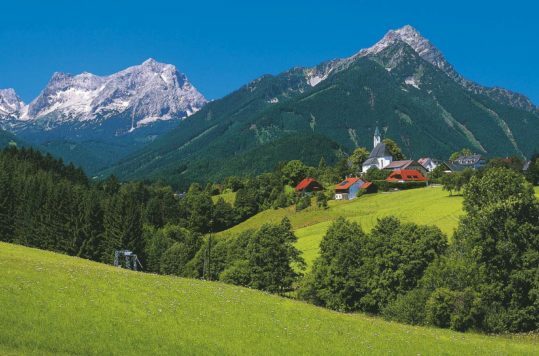 Despite the fact that Austria does not have a centimetre of shoreline towards the sea, it is no problem to enjoy a wonderful beach holiday in the Alpine countryside. Bring your bathing suit and jump into the lakes! 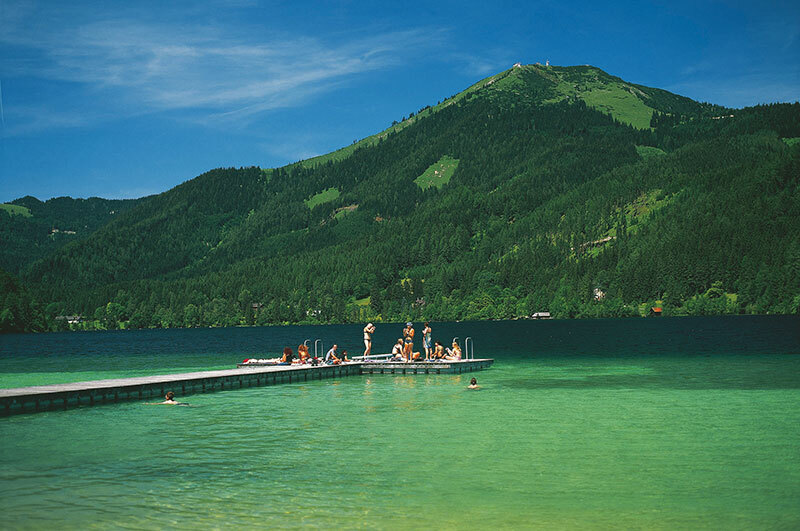 Hundreds of lakes are scattered throughout Austria and on warm sunny summer days, the Austrians flock to their bathing lakes. 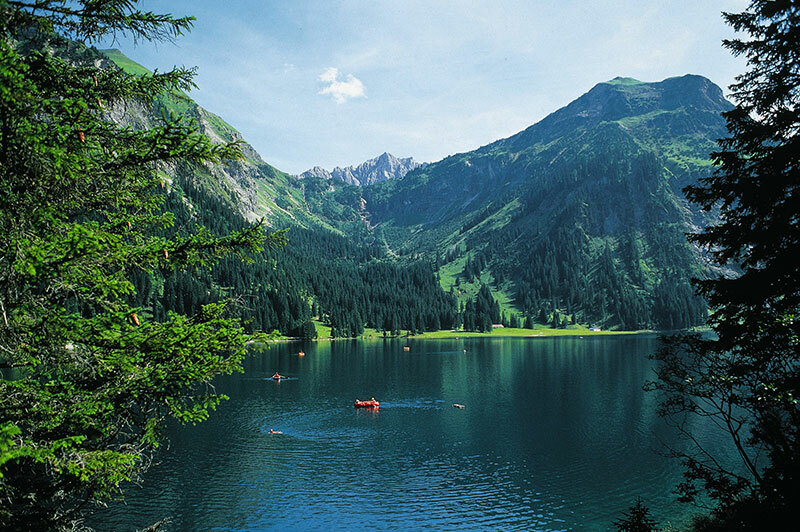 Austria is also very proud of that almost all of their lakes have drinking water quality. Add to that pleasurable water temperatures and good facilities and you have a great beach holiday. Hence, don’t forget to bring your swimwear, sunscreen and beach toys to the kids when you pack for your holiday in Austria. Some of the lake shores are quite densely populated and private property extend right down to the water’s edge, making it difficult to reach the water. Nonetheless, most municipalities have created public bathing areas with associated facilities, where anyone can come and enjoy the beach. There are also private beaches and sea baths where you have to pay an entrance fee. For those who are on a road trip, it is probably easiest to use the public bathing areas or those who let in paying guests which also offer parking. If you are on a camping or hotel holiday, they often have access to their own bathing area / shoreline or in cooperation with other businesses. Beach holidays in Austria are a relatively well-organized activity. Look for signs: Freibad. Most beaches, whether private or public, have toilets and showers. You pay € 2-8 for a day ticket per person (family tickets also available), which usually include changing booths and facilities for toddlers. Even if you have to spend a few euros, it is very well maintained and clean everywhere. Many places rent sun chairs and electric boats. Moreover, except on some secluded alpine lakes, you often find some form of food service on-site. It can vary from posh restaurants to hot dog stands. Erlaufsee near Mariazell, right on the border between Styria and Lower Austria is shallow and has sandy beaches. Perfect for children. 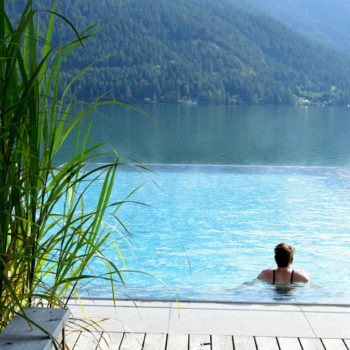 © Österreich Werbung, Photo: Weinhaeupl W.
Beach holidays in Austria can vary from crowded bathing areas to ponds where you can be completely alone. Explain to the nearest tourist office what you are looking for or check out Google Maps and find a blue “spot” that you could explore. 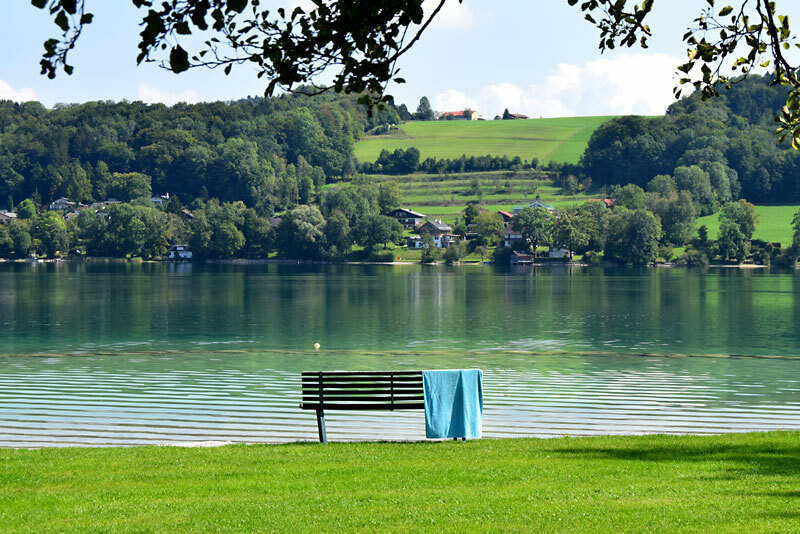 Here are some tips for different bathing opportunities in Austria. 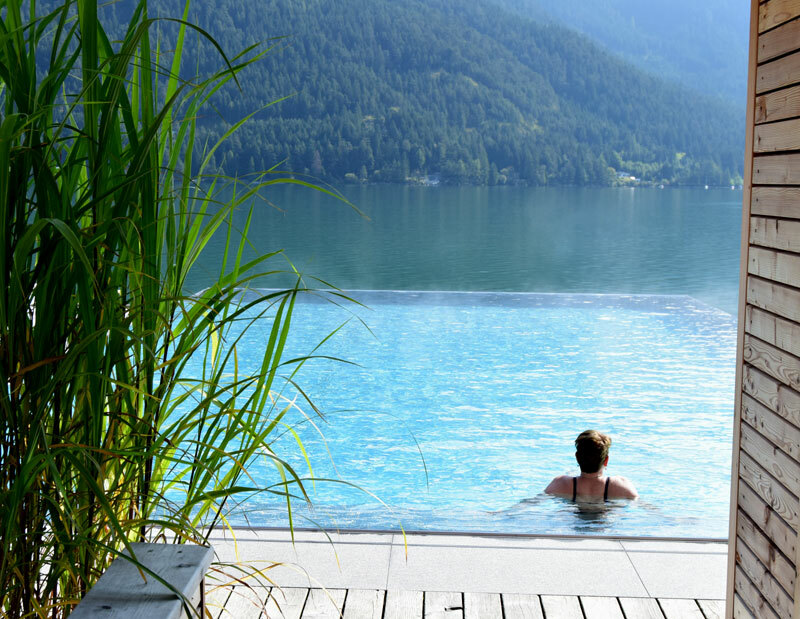 The list could of course have been much, much longer but we have tried to find examples of both large and small, secluded and easily accessible as well as quiet gems and popular bathing places all around Austria. The 47 km² large Attersee is situated in lovely surroundings in the transition between the lowlands of the north and the Alps in the south. The water temperature can reach 25 °C in late summer. You will find bathing spots and beaches all around the sea. 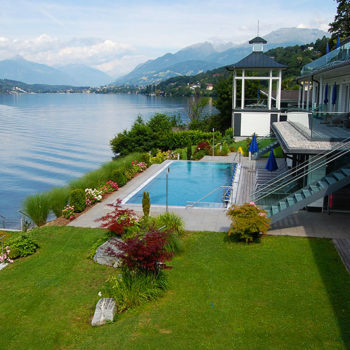 Attersee is also known for good wind conditions for sailing, various types of water sports opportunities and offers several nice scuba diving sites. For more info: Attersee Salzkammergut Tourist Office. Link to Google map. This alpine lake is located at an altitude of almost 1200 meters above sea level, surrounded by a magnificent alpine landscape. As a rule, the water temperature very rarely exceeds 17 ° C. Nevertheless, after a day of hiking or cycling in the summer heat you can enjoy a refreshing bath. For more info: Tannheimer Tal Tourist Office. Link to Google map. 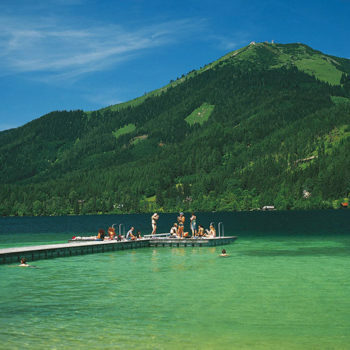 The lake is not far from Mariazell and offers fine sandy beaches. Perfect for families with young children. 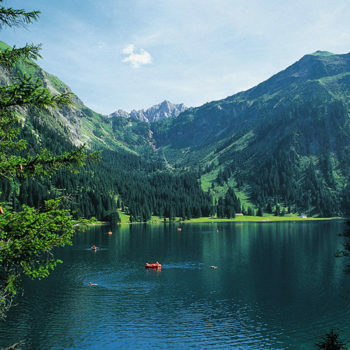 Erlaufsee is easily accessible by car and therefore perfect for a day trip as well. At the east end of the lake you will find a couple of restaurants, a camping site as well as boat rentals. There are also good places to scuba dive or fishing. For more info: Mitterbach am Erlaufsee Tourist Office. Link to Google map. 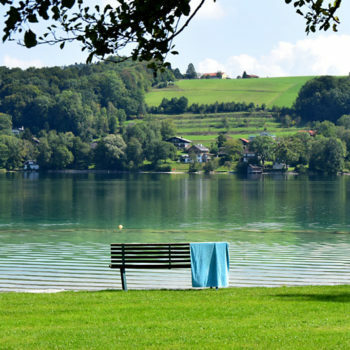 The second largest lake in Carinthia (after the Wörthersee) is one of the warmest lakes in Austria. The water temperature can reach 27 °C in late summer. 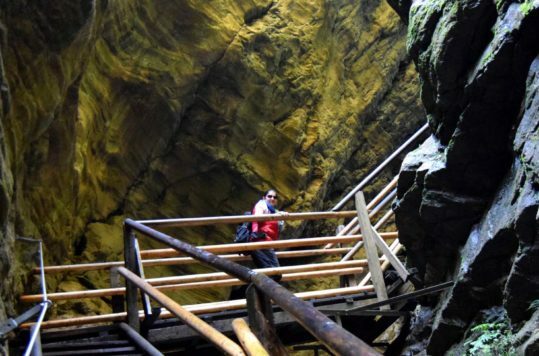 This is a popular holiday region and the range of activities, accommodation and dining options is huge. For couples who want to enjoy some romance, we recommend a sunset tour in a rowing boat or perhaps a gourmet dinner on the platform in the lake near Millstatt. For more info: Millstättersee Tourist Office. Link to Google map. The city of Vienna also offers many bathing opportunities in everything from public or private swimming facilities to the beach area on an island in the middle of the Danube. 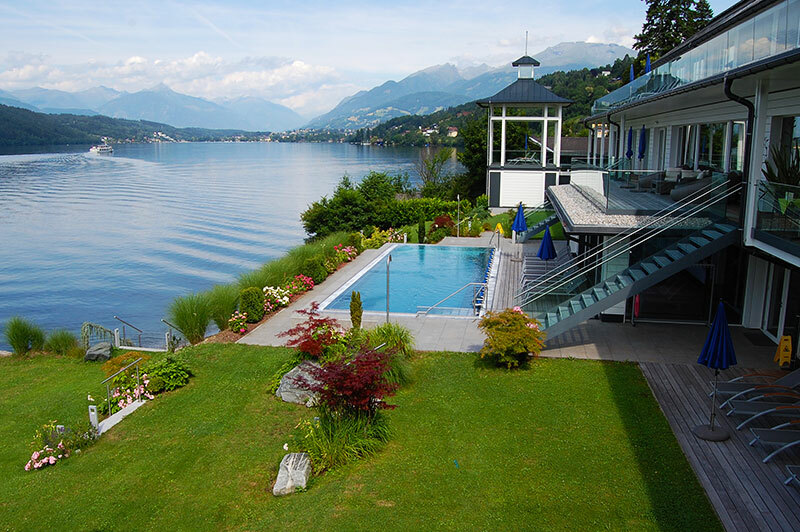 At the Donainsel you find a family and child-friendly beach and a sheltered lake with various water activities. For those who want to go out on the water, you can hire pedal and electric boats. For more info: Vienna Tourist Information. Link to Google map. In addition to the natural lakes you will find a multitude of artificial lakes, many of which are almost natural and beautifully landscaped. 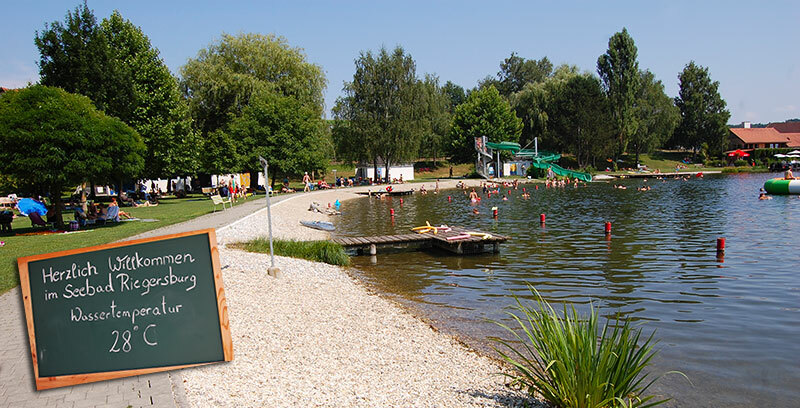 One of our favorites is Seebad Riegersburg – a small bathing lake with a great park around and an associated restaurant. 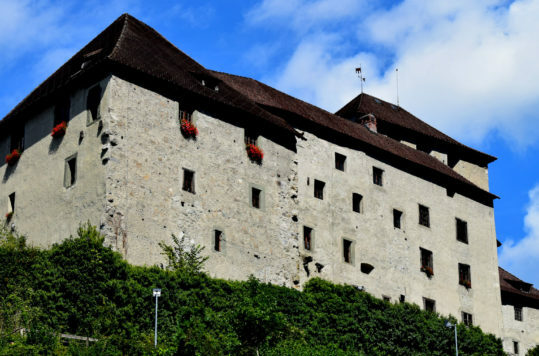 A few hundred meters away you will find a small picturesque village and not least one of the most spectacular medieval castles in Austria, the Riegersburg.